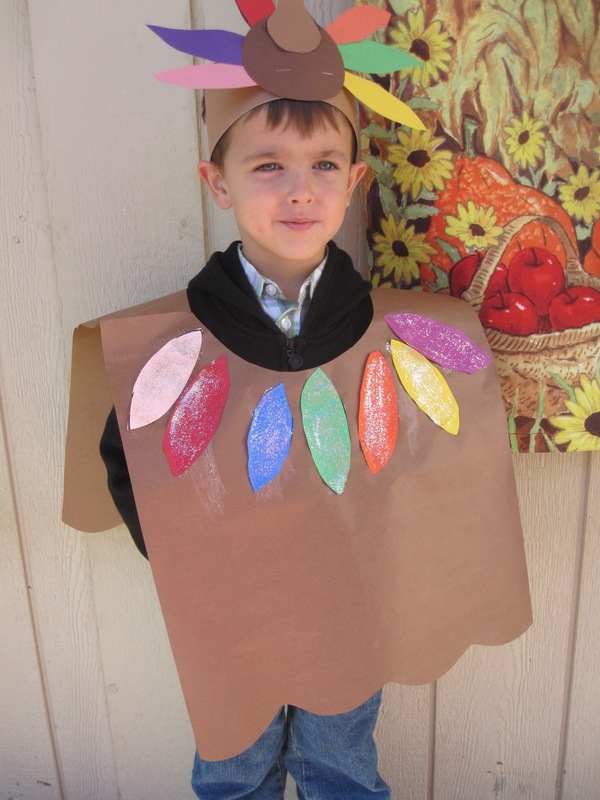 This morning Cooper had his Kindergarten Thanksgiving program. They were all dressed up as the cutest little turkeys. They sang songs and a few kids were picked to say what they were thankful for. Cooper was chosen. 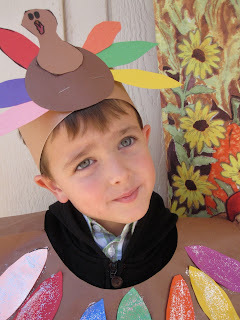 He said, "I'm thankful for my food". It was so cute!